PLAY THE MIXES, SHARE THE FUN WITH OVER 80 TRACKS! DH is like a big kid, he absolutely LOVE'S to play games on his PlaySation 3, and now one of his favorite games to play is DJ Hero 2! With a Turntable, and 80 tracks to mix (includes some GREAT music!) he was super excited to relive his college days ( he was a DJ....way back in the day ;) just kidding we're not that old! ) with DJ Hero 2. With color coordinated buttons on the turntable, simply hit the correct buttons for a continuous flow of your favorite tunes "mixed" to perfection. I even had a great time playing it with him (we're slightly competitive;). Definantly a game the family can enjoy together, and would make a great party game! 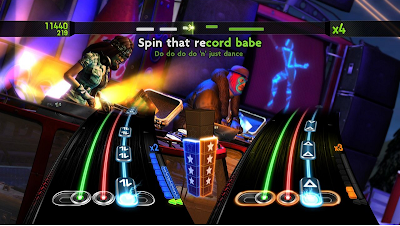 Leave a comment~ Visit http://www.djhero.com/en-us/home/index to learn more about the game and let me know why your excited to play DJ Hero 2! The comment is considered your entry. 2) Tweet ~Bring the Party Home! Play the mixes, share the FUN! 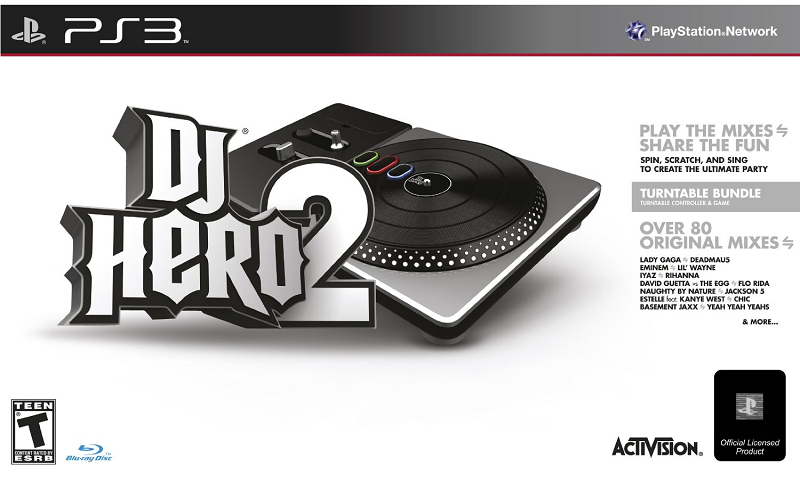 #Win DJ Hero® 2 @savvycouponmom http://bit.ly/gBGavm #Giveaway (can be repeated twice daily for additional entries~ copy paste please~cut and paste- the bit link must be posted in the tweet - I will check) (Additional 5 Entries - 5 Comments). Yahh - first to comment! I'd be excited to play DJ Hero 2 because it let's me scratch on the records and play like a real DJ - it may even teach me how to be a real DJ. My daughter loves music so this is cool and I loved the demo (wasn't too good at it though - didn't have a mouse to use). I'm excited to play because I'm such a rock band fanatic! I'm sure this game is up my alley! super excited to play this! I'm really impressed with the track listing and super stoked because they have Queen - Another One Bites The Dust. This was actually part of the first record I ever got when I was a kid - yup record! Does that show how old I am?! This would be so much fun! Ooh, it looks so much fun! We've been looking for games for our Wii - and, most of our friends seem to enjoy music games the most! My daughter's fiance is taking training right now to be a dj...this would be an excellent game to get for our wii as I feel it might help him learn faster & it would be fun to play as a family. I'm ready for the music on DJ Hero 2 - Thanks for the giveaway.